When David Maher, a financial adviser in Cleveland, bought a raw condo space in a downtown building earlier this year, he decided to install a spa shower to make his new home a special place. Maher paid attention the details in his master bathroom and upgraded to a Moen-brand luxury shower unit called the ioDIGITAL. The spa-style shower unit comes complete with remote controls, a digital touch pad to pre-program water temperature, and an array of shower heads ranging from a rain shower to four body sprays and a hand-held wand. "I never had these things before and going into a new place I wanted something luxury and high end," Maher, 43, says. Like a growing number of homeowners, he has replaced a ho-hum shower with a more spa-like one that includes shower heads that can mimic raindrops or a waterfall or pelt the body like a massage. Although such spa shower units represent less than 5 percent of the overall market, they have grown in popularity over the past decade. Why? And should you upgrade to a spa shower? "People like the idea that they can have a spa at home," explains Lars Christiansen, product development director for Hansgrohe, another luxury plumbing manufacturer. He referes to it as "the wellness factor." You can have a waterfall effect that feels like the water is pouring over the side of a stone, like a sheet, or get pummeled as if a Turkish masseuse was giving you the once over. Or you can have any number of types in combination, enabling you to switch while showering. Shopping around for a price you can best afford is definitely advised. Hansgrohe's entry-level luxury line starts at around $1,500 and can go up to $4,000 depending on the models and finish. Moen's ioDIGITAL unit costs about $2,600. Doing some internet searches could find you less-expensive spa shower options. Consult a master plumber, the manufacturer and your building's owner, because many of these spa systems require expert installation. It's also wise to have a grasp on the water levels or pressure required for optimal use of your new luxury shower and of what water pressure is actually available to you. On average, a family of four in the U.S. uses 400 gallons of water a day -- twice that of a European family -- and pays $500 annually in water and sewer bills. Look for the EPA's WaterSense label (like the EnergyStar label) on products that meet Federal low-flow standards. Still, be aware that there is a continuing debate about luxury shower heads, water-efficiency and sustainability. 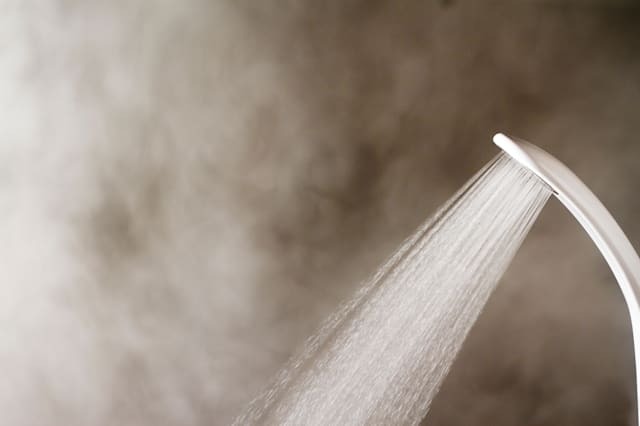 A spa shower head won't necessarily increase your water usage, because most products from major manufacturers comply with regulations when the nozzles are measured individually (that is, they emit no more than 2.5 gallons per minute). If you're running a multiple system then your meter might tick higher along with your water bill. In a new twist, the Department of Energy is trying to enforce a different interpretation of the regulation, saying that the 2.5 gallons threshold should apply to the combined output of a multiple shower head system, rather than each component, which would make some products noncompliant, as they can have dozens of nozzles. Not everyone weighs such matters when it comes to buying a high-end spa shower head that will make you look forward to jumping out of bed in the morning. "I should think about these things more," concedes Maher, noting that he was reassured that Moen products are currently compliant with the law. "I'm very happy and pleased with all the features."